"Location. Location. Location." It is a golden rule in real estate investment. What are good locations? There seems to be very few "hard and fast" rules in picking high potential properties... except... proximity to TTC Subway station. 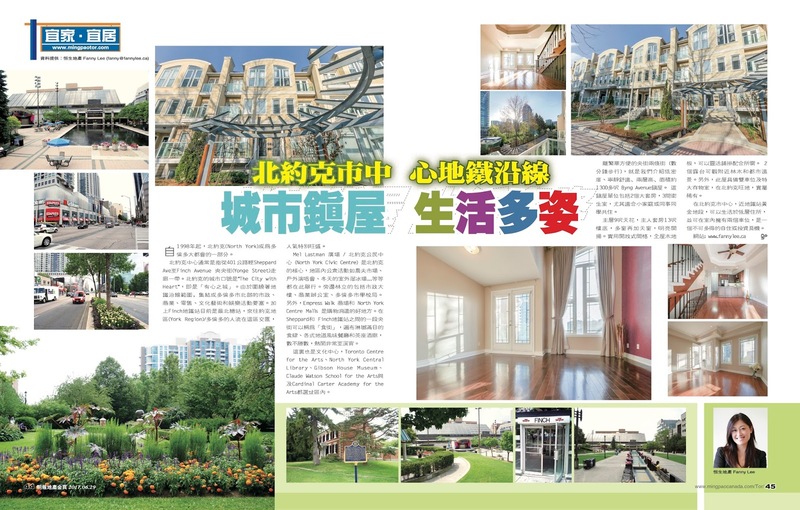 On today Ming Pao Property Goldpage, we wrote an article "北約克市中心 地鐵沿線 城市鎮屋, 生活多姿" (Vibrant Townhome Living along North York Centre Subway Line) about the vibrant lifestyle of North York city centre - the stripe of Yonge Street between Sheppard Avenue and Finch Avenue. We also showed an example of property with high potential (#18 - 70 Byng Avenue). The come text is attached below.